The Breton Forest Innovation Cooperative is celabrating! 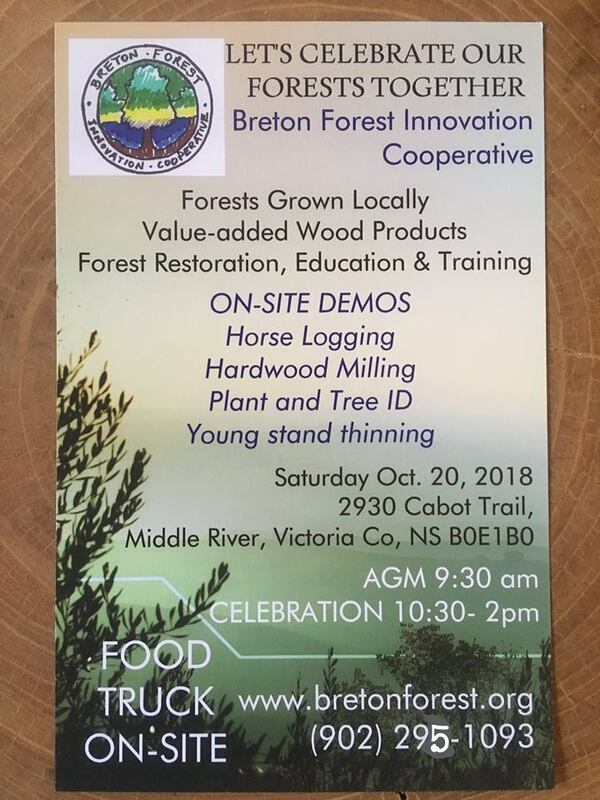 Coming up on Saturday, October 20th, the BFIC is offering on-site demos of horse logging, hardwood milling, and more. Check out their website for more information!